As you might already know, @Assist made it into the Top 50 at Startup Grind's Global Conference 2017 (read the press release here). To kick off our posts about our journey, we thought we might touch on the "before journey". Ready? Let's go! First of all, if you don't know anything about Startup Grind's Global Conference, check it out here. As part of this conference, Startup Grind accepts worldwide applications from startups who are doing awesome and innovative things in tech. Before we could apply, there were a few questions we felt we needed to answer and a little bit of research we needed to do. @Assist is actually a company that started in 2009. Before 2009 we managed our own properties. 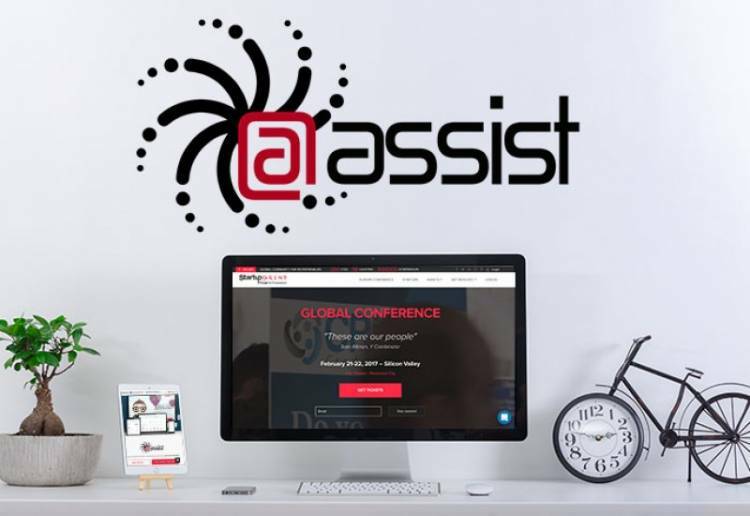 @Assist was first formed as a "virtual property management helper" to offer offline help to other property managers who had been facing the same problems we had when we managed properties. That evolved to some online tools that became a full-fledged all-in-one property management and accounting solution. We started off servicing Canadians in 2015 and then launched globally in 2016. The global push could certainly be categorized in the startup category. Though we’d be a startup with tons of market research and experience behind us. When @Assist began, we classified ourselves as a property management company. If you know anything about the property management industry, it's a rather old industry. And with any old industry comes an old way of thinking. We met other "systems" that were struggling with this classification and realized we needed to do better. So we re-branded our thinking to become a tech company. As a tech company, we're on the cutting edge of innovation and we can appeal to the masses, hence why going global was the next logical step. Are we looking for an investor? As a 100% bootstrapped company we are extremely used to living within our means and doing more with less. Our plan for growth doesn't necessarily need an influx of cash, however with one, we'd be able to hit our targets faster. An investor who is the perfect marriage partner could be an incredible asset for @Assist. After we successfully answered the above, we needed to pick our conference carefully. As a startup company there are many conferences and pitch contests, and if you're not careful, it's easy to fall into the trap of being a serial attender. If money is tight, this is an especially dangerous trap. Now, obviously, there are some great opportunities out there and not every company is the same, but if you find yourself having to decide between making your product better or attending a conference, it's worth doing the research to find out if the opportunity is truly worthwhile. Upon researching the conference itself, we were able to find a good amount of information about the people who attended and the people who run it. We loved their "make friends, not contacts" slogan and general openness about what they do and who they help. Startup Grind has tons of chapters all around the world that focus on helping and mentoring startup companies. Their global conference seemed to have a very selective process and chose to feature just a small number of startups. Those startups would be in the spotlight and given perks and recognition. It's the only conference that we found that limited their selections to a small number. In 2016, they featured just 50 startups (with just 20 of those getting to give a quickfire pitch) and increased that in 2017 to 100 (with a top 50 getting additional perks including getting to give a quickfire pitch). The only problem? No startups who had been selected were talking about the process! (We're hoping to change that!) So we took our research to the next level: we started reaching out to each of the companies who had been featured in 2016. Of the companies who responded, only a couple would actually talk to us about the process. Note: If you would like to talk to us about our experience applying, getting into, preparing, or attending Startup Grind, just contact us. We'd be happy to speak with you. Based on the feedback of the companies who responded, we learned some valuable insight into what applying for and attending Startup Grind as a startup company was like. Courtney Caldwell from ShearShare was an invaluable and extremely motivating resource. We managed to speak to companies at varying "levels" of startup success from different parts of the world. While the results were mixed, every single company we spoke to said it was a great opportunity. Up next we talk about the application process for Startup Grind. View all of the posts about our journey here.